As a Foster Parent Recruiter, one of the most common questions that I hear from potential foster families is ‘will I be interacting with the birth parents?’ Maybe you have similar apprehensions as you consider whether or not to open your home to a foster child. Working in this field, it no longer surprises me when I hear this question. In fact, it is something that I have come to expect and anticipate from families who are seriously considering fostering. For anyone who has wondered about this question and how it would impact their family, I first of all want you to feel encouraged. Thinking of this question shows that you are looking at the big picture; not just the positive moments but also the challenging moments for your family. So what type of interactions with a birth parent should you expect if you foster a child – and how will it affect your family? The reality is that at some point, you will have an interaction with the birth family. This part is often inevitable and part of the fostering process. The location and timing of these interactions can vary depending on the child’s case. However, these meetings are most common during a court appearance or a scheduled visitation where you are dropping off or picking up the child. It is important to remember that children are never placed in foster care because they are the ones at fault. In fact, some children go into foster care for reasons that are different from what someone might assume. Reasons why children come into care vary greatly. It is not uncommon for a birth parent to lose custody of their children despite the fact they may feel they’re doing what is best for their children given their current circumstances. In these cases, foster care is often the best option for the child until parents can make necessary corrections and get back on their feet. Be Okay with Awkward. Feeling awkward is usually something we avoid at all costs. It’s easier to stay in our comfort zone. Be prepared that if you foster, your comfort zone will be stretched and tested at times. It’s important to remember however, that even as awkward as you may feel when you first meet a birth parent, it is incredibly difficult and awkward for them as well. After all you will have personal information about their family and why their children came into care. It’s important that in these moments to be as compassionate and empathetic as possible. It can often be reassuring to birth families that their children are in a safe and positive environment where the foster family does not see their parents as the enemy. Don’t Jump to Conclusions. Knowing personal details about your foster child can be challenging, and trying to grasp the “whys” of how they came into care can be even more difficult. At times, it can be easy to judge. However, never assume that the birth family does not love their children. For the most part, deep down, birth parents want the best for their children – just as any other parent would. Unfortunately, circumstances and/or addiction can prevent them from being able to properly provide for their children. Be Positive. No matter what the child has experienced or endured, most likely the child longs to be back with their family and what is familiar to them. Speak positive and encouraging messages to your foster children about their birth parents and refrain from sharing negative things. The goal of foster care is reunification and your family will be an important part of that child’s healing process. Partnership when Possible is Best. No one knows your foster child better than their birth family. By involving birth parents in the parenting process as they work to get their children back, you are becoming an important role model for the family and bridging the gap that is felt during the time the child is in foster care. Ultimately, your role as a foster parent goes much further than temporarily helping a child in need. The impact you can have on both a child and their birth family can be life-changing. Remember- a child’s birth parents are simply people in need and are being given a chance to make the corrections necessary to form a strong family unit. By working with birth parents and showing them compassion and empathy, you will not only be helping the birth parents but also being an example to your foster child of what love and compassion looks like. Monica Beere is a Foster Parent Recruiter with Monroe Harding. Passionate about foster care and adoption, Monica has used her experiences as a former foster and adopted child to promote and bring awareness to the urgent need of finding foster families. 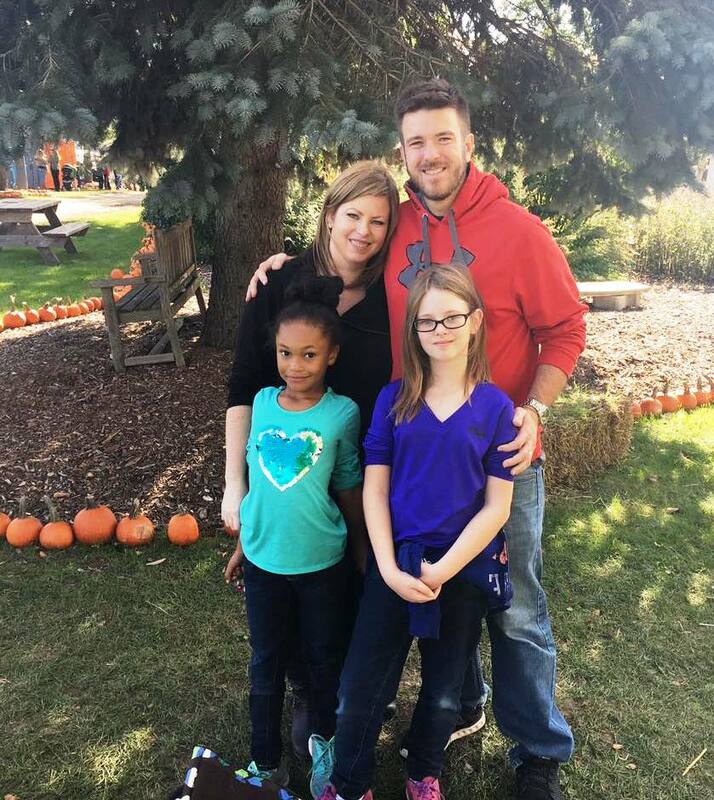 In 2010, Monica and her husband Christian, along with their three-year-old daughter Lexie, expanded their family through adopting their youngest daughter Brooklyn.